Samsung’s DeX feature is an innovative approach to bridging the gap between mobile and desktop. DeX allows you to hook up your phone to a display and enable a special desktop mode complete with apps and an interface optimized for a larger screen. The Samsung Galaxy S8, Galaxy Note 8, and Galaxy S9 all need docks to enable DeX, but the Galaxy Note 9 and Galaxy Tab S4 can run DeX over a simple USB-C to HDMI adapter. While DeX is great for multitasking while browsing the web, document viewing, and document creation, it’s still missing a lot. After all, DeX is still based on Android so all your DeX-optimized apps, for the most part, aren’t going to compete with a true desktop operating system. That’s set to change as Samsung has been working on bringing “Linux on Samsung DeX.” It was first showcased during last year’s Samsung Developer Conference, but it’s finally coming for the Galaxy Note 9 and Galaxy Tab S4. As a reminder, Linux on DeX brings a modified version of Ubuntu 16.04 natively to DeX. Although access to a Linux-based OS opens up greater access to desktop-class apps, we should note that Linux apps need to be compiled for ARM 64-bit processors to work properly. 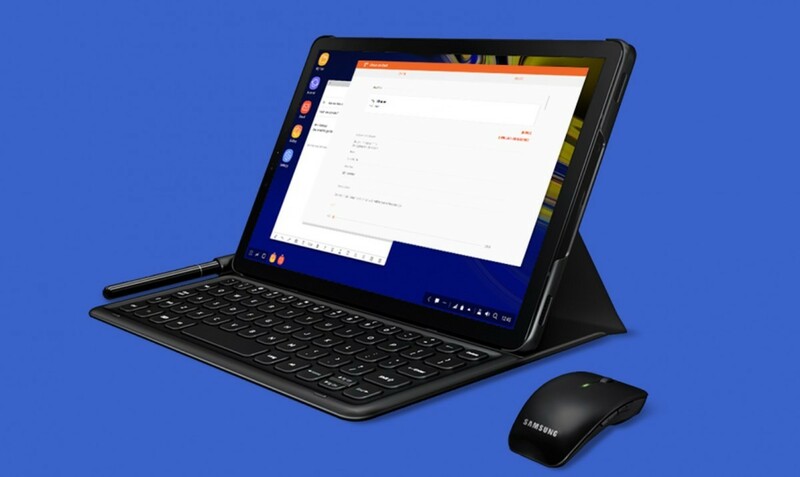 Still, Linux on Samsung DeX will be a great way to increase the productivity of the Galaxy Tab S4 and Galaxy Note 9. Support for a Linux environment on Samsung DeX should go a long way to make for a better desktop experience, but it should mainly benefit developers of all kinds who will be able to code on the go. Linux on Samsung DeX is set to release for the Galaxy Note 9 and the Galaxy Tab S4 as a closed beta on November 12th. The beta will be available for devices running Android Oreo-based Samsung Experience 9.5 and Android Pie-based One UI, though neither device has received the Android Pie update yet. You’ll also need at least 8GB storage remaining and access to peripherals to make for a decent experience. If you’re interested in trying out Linux on Samsung DeX and you have an eligible device (Galaxy Note 9 or Galaxy Tab S4), then you can register now for the private beta here. The beta will roll out to your device on November 12th.